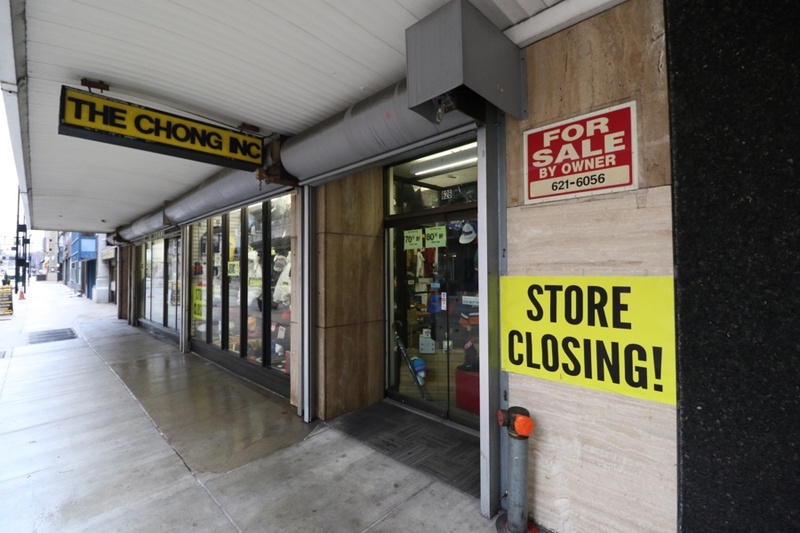 Queen City Discovery: Checking Up on "The Chong"
Checking Up on "The Chong"
- The Chong, still “closing” as of January 23, 2019. One last check up of The Chong. - The Chong on November 3, 2018. The Chong, Inc. is this super interesting store. 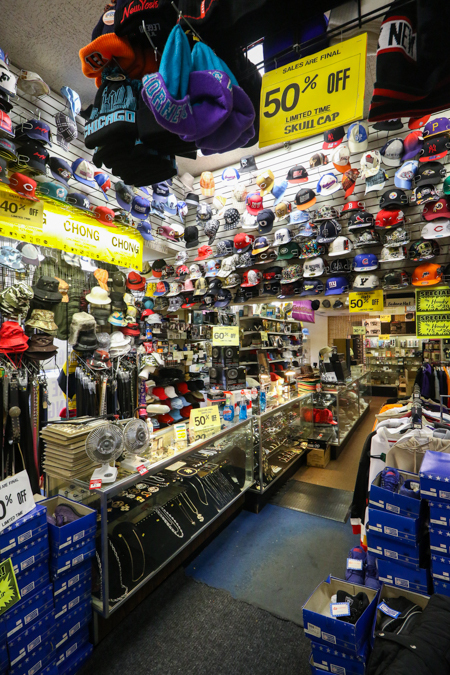 It often gets labeled as business peddling “Chinese knock-off” clothing and it encapsulates the feeling and appearance of an independent, general merchandise retailer that was once more common (and still is in larger cities like NYC). Their inventory is peculiar. 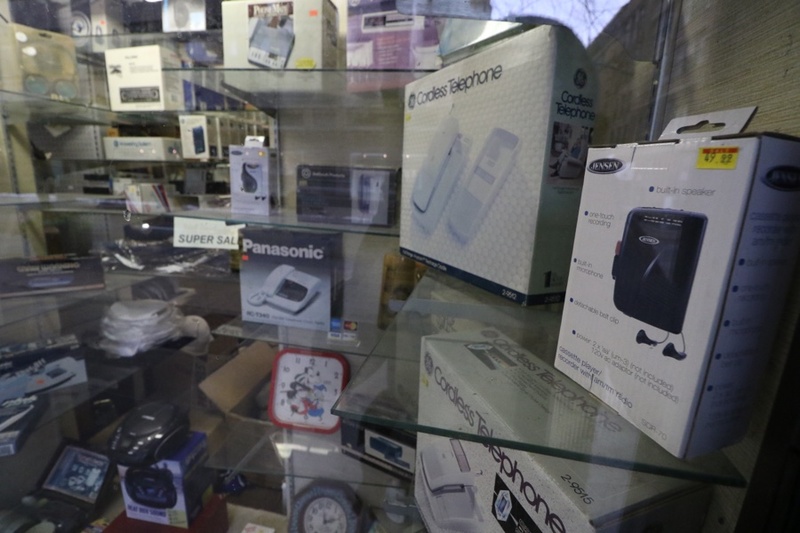 Aside from the clothes, there’s this vast selection of late 80s to late 90s electronics. 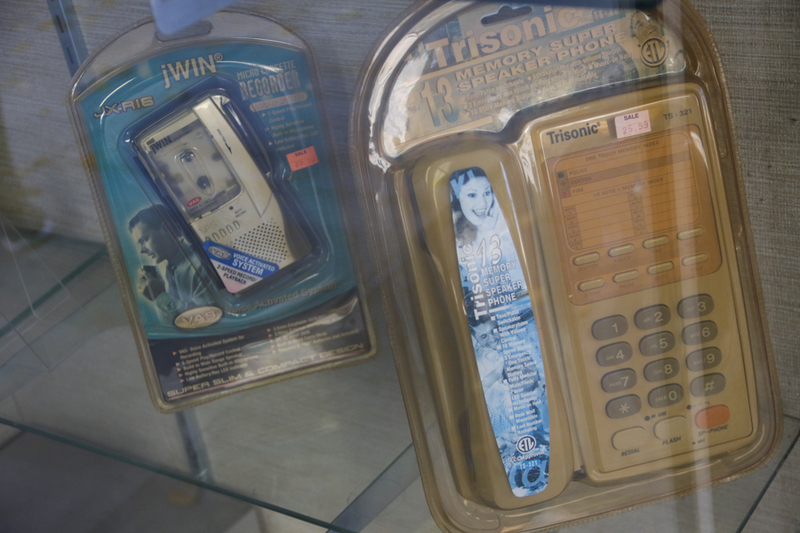 Even during the “store closing” sale, most of it didn’t seem marked down from its original prices (if anyone even needs a cordless landline phone anymore, they’re certainly not paying more than $10 let alone $25). The products in the window: who knows if they had ever been moved from when they were originally placed there. They’re not just dated in terms of technology—they're yellowed and beat by the sun, covered in dust. 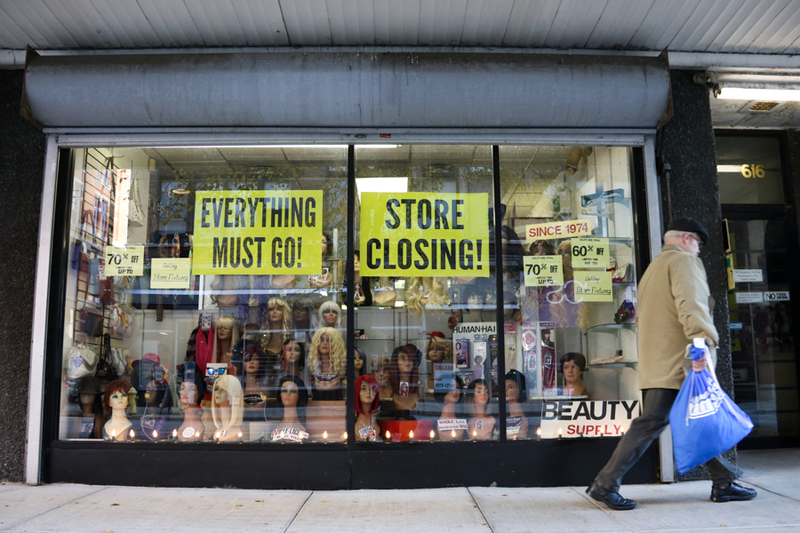 Apparently, the “store closing” sale was an annual tactic and the place would never actually end its business. So I went back to investigate on the biggest retail day of them all: Black Friday. An employee told me there were only “25 days, maybe a month” left. - The Chong still open on Black Friday, November 25, 2018. So I went back 25 days later and The Chong was still going strong as of December 18, 2018. I was out of town five days later when the month timeline was up, but found that The Chong had survived the new year and was still open as of January 9, 2019. - The store's sidewalk signs on January 9, 2019. They've now been out since at least November. I was Downtown doing some work today, January 23, 2019, and the "store closing" ads are still out front. Now going on three months since I first saw them. 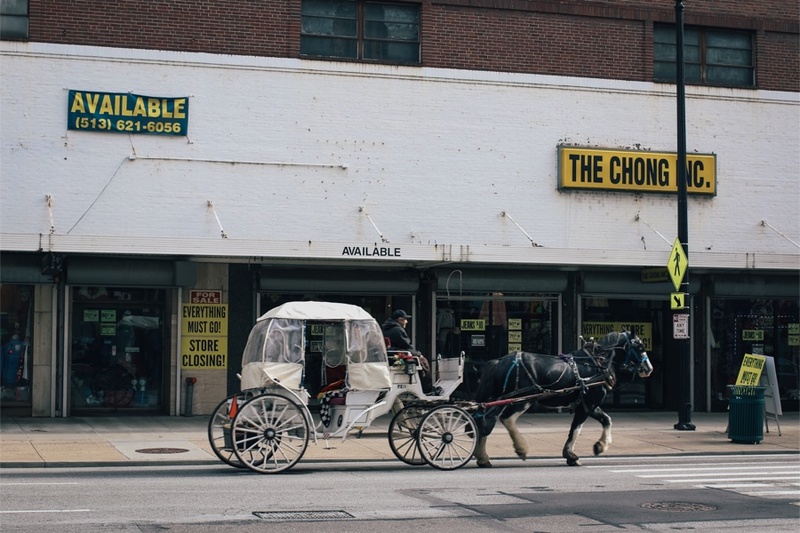 They're familiar sights at this point and might as well just say "The Chong: we're open!" 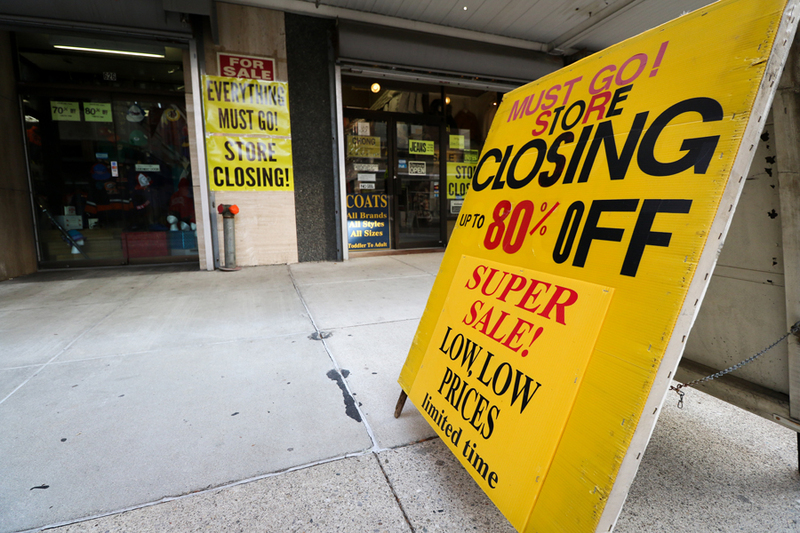 Some clues had caused myself and a few others suspect that maybe this year's "store closing" sale was truly the one, not simply a tactic to drive traffic. A longstanding, neighboring business had closed recently and the building is older (it's also not particularly historic or architecturally significant) with development rumors appearing here and there. Signs have been on the side advertising that the property is for sale. So maybe this really is the end? Or maybe it's the yearly ruse? Maybe they make enough money each year during this sale to give it another go? It’s not that I’m trying to investigate the integrity of the sale or the store itself, I’m just genuinely curious. The truth is, I actually love this place. The prices are kind of goofy and even when I tried to haggle for a film camera (that I found online for pennies), I couldn’t talk the salesman down from the ~1997 price. But I love this place. It gives Downtown some character. It’s fun to stop in and look around. It's a time capsule, a museum of the 80s and 90s. A few blocks to the North in an up-and-coming neighborhood, there’s a shop selling “nostalgic” items at contemporary prices in the name of vintage fashion. At The Chong, the “retro” motif isn’t a gimmick, it's just... The Chong. I don't know if the store will ever close or if it actually now intends (or ever intended) to. So this will be the last post on the matter for now. Personally I hope the place is around for years to come. You never know when you might need a portable cassette player (for just $49.99). - January 23, 2019. Still kickin'. I'm genuinely intrigued by this place now. I'm going to try and make a trip down some weekend. would love to hear your thoughts on the place. If you check it out, please let me know! Guaranteed to find, and buy, something at the Chong. I've yet to buy something due to the prices on older equipment, but oh yes, you'll definitely find a lot.